We have been looking forward to seeing Moana for quite a while and I had promised Gracie I would let her watch it as soon as it is out. 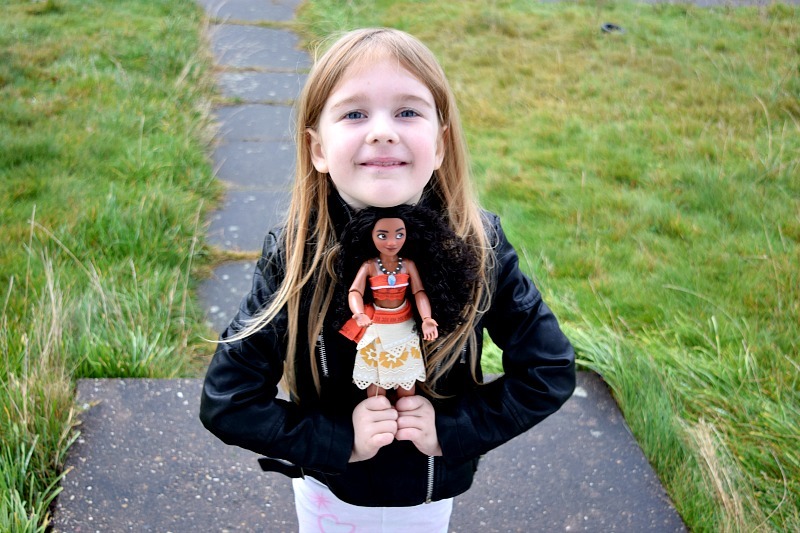 Just before the release, Gracie was sent some Moana items from Disney Store UK. They sent her the Moana classic doll and a Pua small soft toy. It arrived just days after she had won a Moana poster at the Disney Store in Birmingham. She was so excited to review them and it made her even more excited to see the movie. 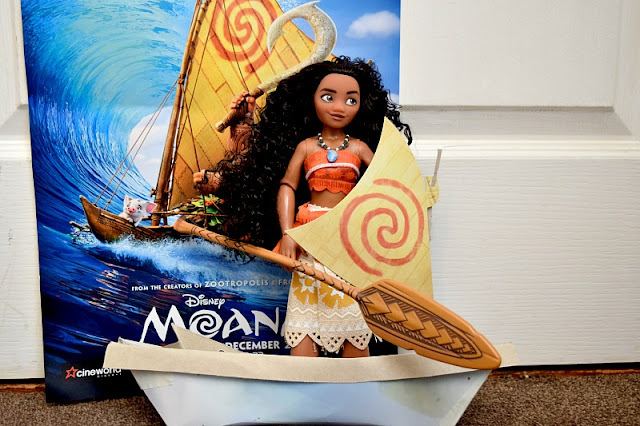 The Moana classic doll (£15.99) comes in a box with instructions on how to turn the box into a boat with sail, just like Moana's in the movie. I loved this idea and it was relatively easy to make. I decided to make it up while Gracie was at school to surprise her when she came home. The doll is so well made. I will always opt for the dolls made exclusively for the Disney Store as they are always the highest quality. She is so sturdy and her hair and clothes are such good quality and so detailed. I can't even explain how much Gracie loves her Pua soft toy (£12.99). Considering he is a 'small' soft toy, he is actually quite big. The perfect size for Gracie. 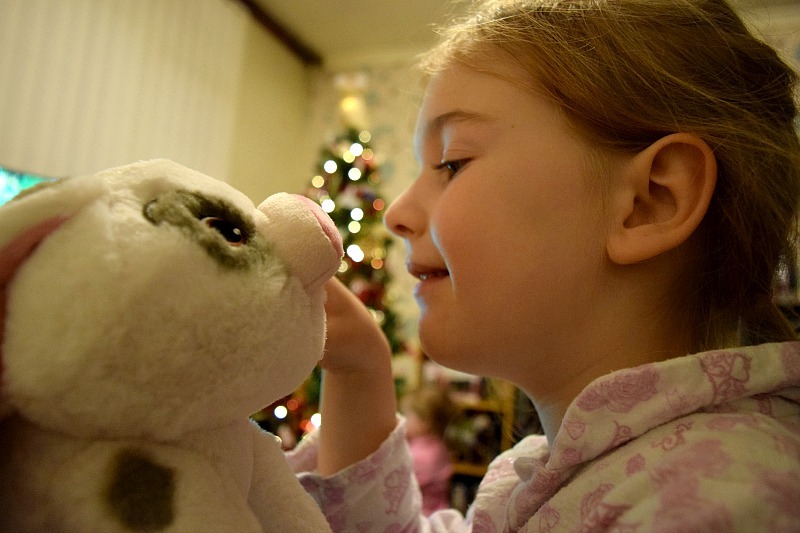 She has cuddled up to him in bed every night since she received it. She is a big lover of soft toys and really looks after them so he is high up on her bed out of reach of her little sister so she doesn't steal him! He is so adorable, it is a shame he doesn't have a bigger role in the movie! Last week, Gracie finally got to watch Moana and was of course joined by Moana herself. We really enjoyed the film. Gracie's favourite part was when a young Moana manages to make the sea move like a wall around her. She was really amazed watching that happen for the first time it was such a magical moment. We found Hei Hei, the chicken really funny and the film has a really nice ending. I don't want to give any of the storyline away to those who haven't watched the movie yet but it is so good. I personally just loved Moana as a character. I love the Disney movies with strong female characters! You can shop the whole Disney Moana range here. If you haven't seen the film yet I would definitely recommend watching! Oh yes, we're off to see the film over the Christmas break. Suspect my kids will be wanting the doll afterwards. Do you think a 14 year old would enjoy this? It's that age where she loves classic Disney but is also now watching adult themed movies. 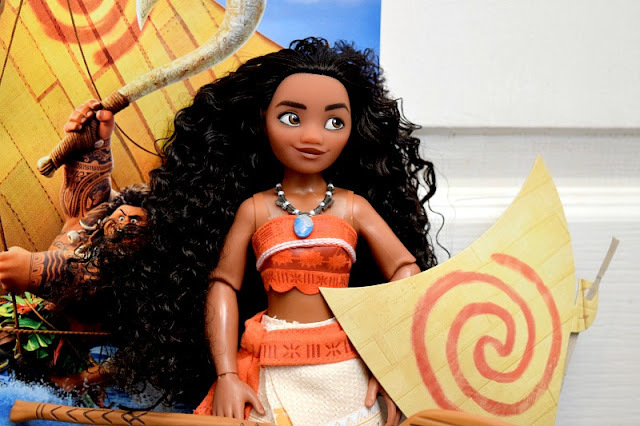 Oh wow, that Moana doll seems lovely. I'd love ot see the movie too. Aww the doll looks lovely, and the little piggy! My little girl would love these! I can't wait to watch Moana!! I cannot wait to see this film! I'm a massive Disney nerd. The toys look amazing, I saw so many in the Disney shop.